Water has a calming effect on all of us. 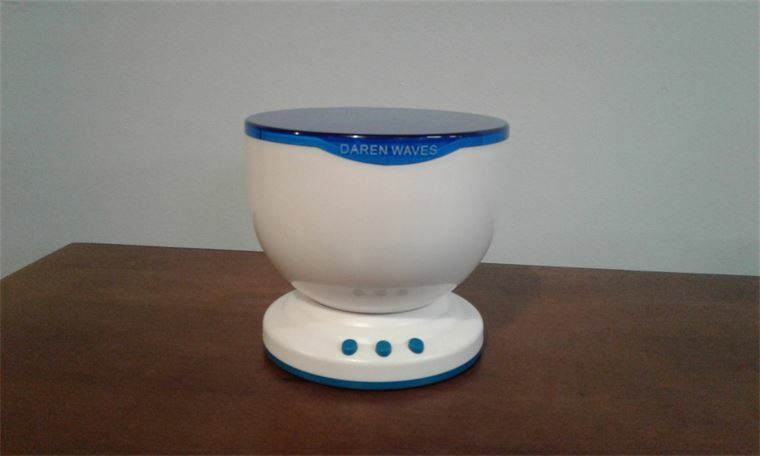 This device reproduces a sparkling sea on your ceiling or walls which allows one to feel immersed in deep sea calm, helping with relaxation during bedtime or when stressed. The light machine can be hooked to a MP3 player. 4AA batteries required.